What should you know before ordering home heating oil? 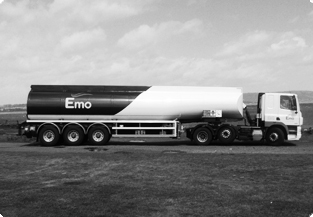 Emo Oil is the leading home heating oil supplier in Ireland, so believe us when it comes to home heating oil in Dublin and surrounding areas, we know what we’re talking about. We can advise you on any aspect of your home heating oil requirements, and to help answer some questions we’ve heard in the past we’ve put together this guide on everything you should know before ordering home heating oil, in order to make the process as streamlined as possible for you. Before you order your home heating oil, you should check the capacity of your oil tank, so that you don’t order too much, or so that you can order a bigger quantity and make economies of scale savings. Ordering a bigger quantity lets you save money on delivery costs as the cost is spread over the litres you have ordered. It’s also worthwhile checking how much oil is left in your tank before ordering – even if you have a big tank, you might find that you haven’t used as much oil as you thought. Heating oil typically is split into two types – gas oil (also commonly known as green diesel in Ireland) which is largely used for agricultural purposes and non-road vehicles, and kerosene which is more common for home heating oil needs. You can find out more about these types of heating oil on our website. #3 When suits you for delivery? We understand that you’re busy – so the last thing you’ll want to do is waste time hanging around the house for a delivery. We value your time, and so we like to make it easy for you to do business with us. 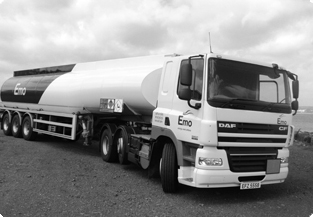 When you order your heating oil, you can pay for it online or over the phone and then as long as we have clear access to your tank, you don’t need to be at home when we fill it up. If you would prefer to take it one step further, why not consider our planned delivery service? We’ll monitor your oil usage and fill up your tank before you run out and without having to remind yourself. It’s just one less thing to worry about. #4 How much will heating oil cost? We always provide you with a competitive quote for your home heating oil needs, and because the cost of oil can depend on a number of external factors we never have a ‘set’ price. The price will fluctuate which means that we can always stay competitive and offer you great value for money. #5 How do you want to pay for your oil? You can pay for your oil by credit card or debit card when you order from us, and we also offer the option to manage your account online so that it’s convenient for you. This online service gives you access to your invoices and statements where you can access them any time, as well as all the information about your oil account.